Leverkusen - Bayer 04 Leverkusen have confirmed that Chilean summer recruit Charles Aranguiz will be sidelined for "several months" after tearing his Achilles tendon. The 2015 Copa America winner picked up the injury in training for the Werkself, ahead of what the 26-year-old had hoped would be his Bundesliga debut at Hannover 96 this weekend. "We're all very shocked and we are of course suffering with him," said Leverkusen's sporting director Rudi Völler. "Charles had really been looking forward to playing his first Bundesliga game at Hannover. We will do everything we can to ensure Charles comes back as quickly as possible from this serious injury." 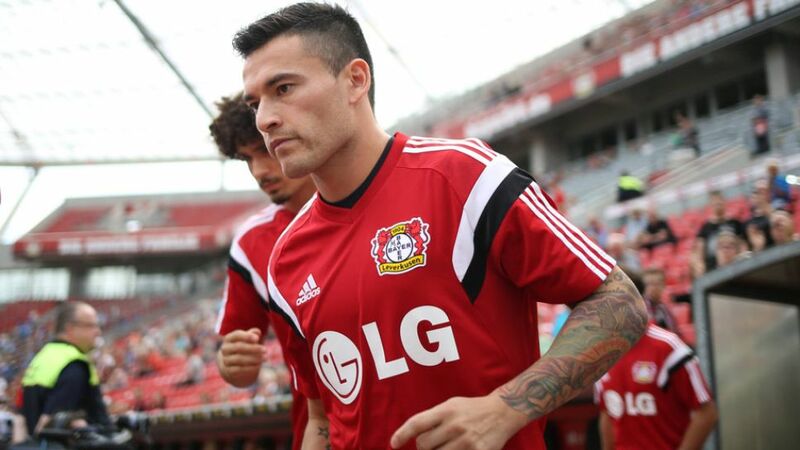 Aranguiz, who had only joined the Rhineland outfit last week, sat on the bench during Leverkusen's 2-1 win over TSG 1899 Hoffenheim on the opening weekend of the 2015/16 campaign and the 1-0 loss at SS Lazio in the UEFA Champions League play-off first leg on Tuesday. "A giant hug brother charles. You're great and you will be much better. Strength and blessings. Chile is with you!"